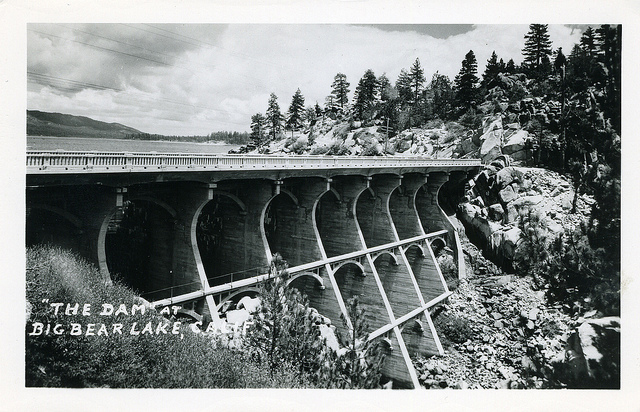 The Big Bear Lake Dam at the beginning of its popularity, about 1945. Big Bear Lake is not a natural lake. It was first created in early 1900’s, but was upgraded to its current form incarnation in 1912 due to the high demand for water. When it was created, Big Bear Lake was the largest manmade lake in the world. We still enjoy that lake today, paddling on it, swimming in it, or catching fish out of it. Many fishermen are coming out of their winter slumber to get rods and reels ready, slip into their favorite fishing spot, and spend the day working on either catching the big one or coming up with a great story about it. The Jim Hall Tournament Turns Thirty Two! 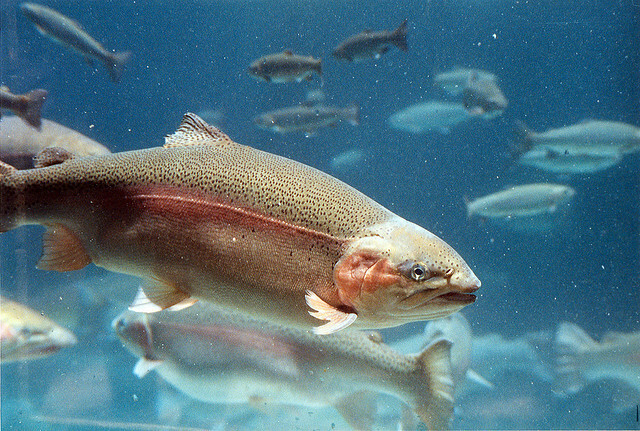 To keep up the fish population in the lake, many of the fish are “planted” there. The tournaments that happen here spring through fall help raise money to keep the stock at high levels. The Jim Hall Memorial Tournament comes back to for another year, attracting anglers from all over southern California. Since it is a family event, all ages participate as well. Prizes are given to the top nine places, and there will be no tagged fish prize this year. That money will be spent on more fish to catch! 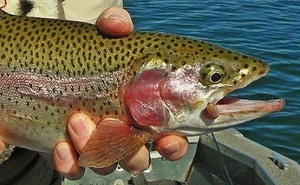 If you can’t make it to this trout tournament, there are others you can catch later in the season. You can also sign up for the Big Bear Lake’s Fishin’ for $50K Trout Derby the weekend after the Fourth of July or the WON Big Bear Troutfest October 4th and 5th. Listening to our guests and looking around the town, it looks like the fish are really biting. Even trolling around the internet we caught wind of how good the fishing was via “Big Mike’s ‘Reel Fishin’” report. People are pulling some big fish out of the water, especially around the dam, where the water is deep and cool. The East and West ramps are also good places to drop a line in and expect to hook a few keepers. We have created a full list of great spots to fish for your convenience. If you are a veteran that needs a few extra supplies, or someone just starting to explore fishing, take a quick walk over to Big Bear Sporting Goods. They have bait, poles, licenses, and any other item you need to get over to the lake and fish. We have our own private beach and dock you can do some fishing from as long as you are our guest. While you are signing up for the fishing tournaments, make a reservation with us for the weekend to relax near The Village and many other local attractions. The fish are looking for some tasty morsels, and it would be extremely kind of you to provide them. Isn’t it time for a nice, long fishing trip? Gallery | This entry was posted in What to see and do and tagged bass, Big Bear CA, big bear lake, Big Bear Sporting Goods, cabins, fishing, Jim Hall Memorial May Trout Classic, spring, summer, trout, troutfest. Bookmark the permalink.